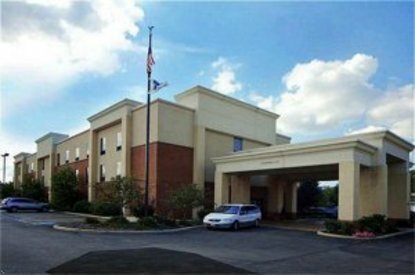 The Hampton Inn Richfield, OH is the new prototype with traditional interior. The hotel offers an indoor pool, exercise room and meeting rooms. Each guestroom has internet access and a micro-fridge for the guests' convenience. For entertainment, each guestroom offers basic cable, free HBO and ESPN, and pay-per-view movies.